Domestic consumption in China is low because very little wealth trickles to the vast majority of people. Most wealth flows to the government. The government then invests the money, and that’s why China has ended up with so much excess capacity. China has become a country with a lot of overcapacity, a situation that cannot be easily resolved. China’s economic problems stem from low consumption and overcapacity as a result of excess investment. We have talked about this for years, but there has not been much change. The reason lies in state ownership. Why do I say these problems are related to state ownership? We know that creation of wealth depends on production, labor, and resources, with land being the main resource. In a capitalist society, capital and land are privately owned. In a state ownership society, labor is privately owned, unless it is a slave society. Capital may be privately owned or state owned. Land and mines are owned by the state. Compared with private ownership based countries, China’s wealth creation capital and resources are owned by the state. Thus, the wealth gained goes to the state, including allocation of gross domestic product (GDP). China’s SOEs are like termites eating away the country’s resources. GDP is a nation’s total annual wealth production. How is it distributed? Compared with capitalist countries, much of China’s GDP consists of income allocated to the state. The state earns profits from land and other resources. This kind of money is privately owned in a capitalist country and people use the money to spend. In China, we give less money to the people, so the consumption is relatively low. We give a lot to the government, so government investment is relatively high. High government investment has resulted in excess capacity. China is now in an overcapacity situation that cannot be changed. We not only have overcapacity of cement and steel, but also excess electricity. Even though we have electricity, we are still investing in more power plants. We also have an excess of highways. This year I went on a trip to Hanzhong. I only saw 20 cars on the 200 km, two-hour trip. It is very expensive to build roads, tunnels, and bridges. More investments are scheduled. We also built a lot of luxurious amenities, with a very low utilization rate. All this excess capacity is expensive, and we have no way to fix the problem. Consumption is not picking up. The market is not strong. No matter how many five-star hotels or highways we build, it does not change the consumption rate, because people simply do not have much money to spend. If most of the GDP goes to the state, excess capacity is inevitable. To resolve the problem of overcapacity, we must change state ownership to private ownership. Of course many people understand this issue and are aware of the inefficiency of state-owned enterprises (SOE) and all the problems associated with them, corruption being not the least. The present party leader’s anti-corruption campaign is not hitting SOEs. There is not as much corruption in private enterprises as they are supervised by the owners. But there is no owner at an SOE. Supposedly, all the Chinese people are the owners, but how can they supervise SOEs in practice? China’s SOEs are like termites eating away the country’s resources. The government, however, has a great interest in SOEs. The chairmen of the boards and CEOs are all nominated by the government, and large SOE leaders are all ministerial-level cadres. This is an abridged translation of Mao Yushi’s Chinese article, posted as a column in www.wtoutiao.com. 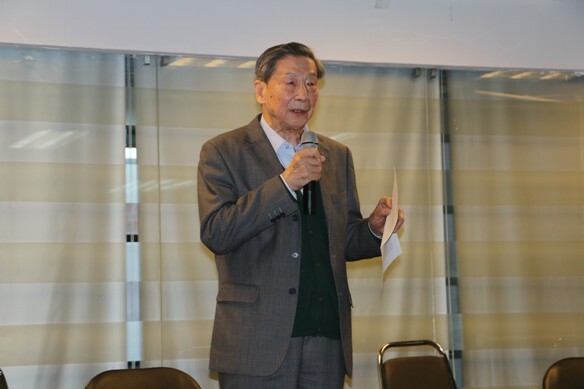 Mao Yushi, a well-known Chinese economist, is the co-founder and currently the Honorary President of the Beijing-based Unirule Institute of Economics. In 2012, Mao was awarded the Cato Institute’s Milton Friedman Prize for Advancing Liberty for his work in classical liberalism and free-market economics.